It sure didn’t take long for Big Soda to royally double-cross Michelle Obama and the Partnership for a Healthier America (PHA) on their “Drink Up” water campaign. First, we learned that Coca-Cola, one of the official supporters of the campaign through its Dasani bottled water brand, has a nationwide program to steer restaurant patrons away from tap water. As Andy Bellatti reported in his excellent post for Civil Eats on Coke’s “Cap the Tap” program, the initiative instructs restaurant servers to hard sell “profitable Coca-Cola beverages” to diners, when they request tap water. This directly contradicts the goal of “Drink Up,” as described in a White House press release, which is to encourage everyone to drink more water, both tap and bottled. The “Drink Up” logo will be carried on hundreds of millions of packs and bottles of bottled water, hundreds of thousands of reusable bottles, and tens of thousands of outdoor public taps in the next year. Cities and municipalities including Chicago, Houston, Los Angeles County, and Watertown, Wisconsin will also be using the logo in marketing campaigns to encourage tap water consumption. In 2001, documents found on a Coca-Cola company website revealed that it had a formal program to actively discourage restaurant customers from drinking tap water. Working with the Olive Garden restaurant chain, Coca-Cola developed a six-step program to help the restaurant reduce what they call “tap water incidence”—the unprofitable problem of customers drinking tap water rather than ordering revenue-producing beverages . Interestingly, Gleick reported that the aforementioned documents were quickly pulled from official Web sites when the media picked up the story. Déjà vu! After Bellatti’s story ran recently and created a buzz, the “Cap the Tap” Web page on the Coke Solutions Web site also disappeared. Click on the Aquafina (PepsiCo) icon and you’ll be taken to a Web page promoting Aquafina’s recently re-launched, candy-colored, teen targeted, FlavorSplash liquid water enhancers and sparkling water beverages. Although an exact ingredient list was unavailable online, the beverages, as reported by BevNET, are artificially sweetened and contain added B-vitamins. Coca-Cola’s Dasani icon takes you to a Web page advertising Dasani Drops Flavor Enhancers, which are meant to be added to water. The pink lemonade flavor contains 14 ingredients including two artificial sweeteners (sucralose and acesulfame potassium) and two food dyes banned in parts of Europe. Click on the icon for the American Beverage Association (ABA) and you’ll go to a Web page featuring a young woman drinking what is clearly not water. Also on the page–a blog post that defends the safety of highly-caffeinated energy drinks and a photo of four men delivering cases of beverages–including plenty of sugary choices–including Coca-Cola, Pepsi, Dr. Pepper, and Sunny D.
Crystal Clear Water’s icon takes you to their Web page, which promotes water and coffee. I don’t recall Mrs. Obama endorsing a java buzz. For those working diligently to promote tap water consumption, all is not lost. Many local plumbing codes in the U.S. exempt restaurants from installing drinking fountains only if tap water is made easily available to patrons at no cost, according to Cara Wilking, Senior Staff Attorney, at the Public Health Advocacy Institute. Restaurants that are systematically discouraging and preventing customers from accessing tap water through programs like “Cap the Tap” are exploiting that exemption and should be reminded of their agreement. The First Lady has already been taken to task on “Drink Up” for shying away from telling kids to drink more water instead of sugary drinks, presumably to avoid angering Big Soda. Perhaps when she realizes how Big Soda is double-crossing her, she will reconsider her position. If the first lady were really upset with all the corporations, she would turn her attention to telling her husband to not be fast-tracking or anything with TPP! Public health didn't reduce smoking rates by leveraging the marketing power of Joe Camel. It's misdirected when it partners with junk food companies. 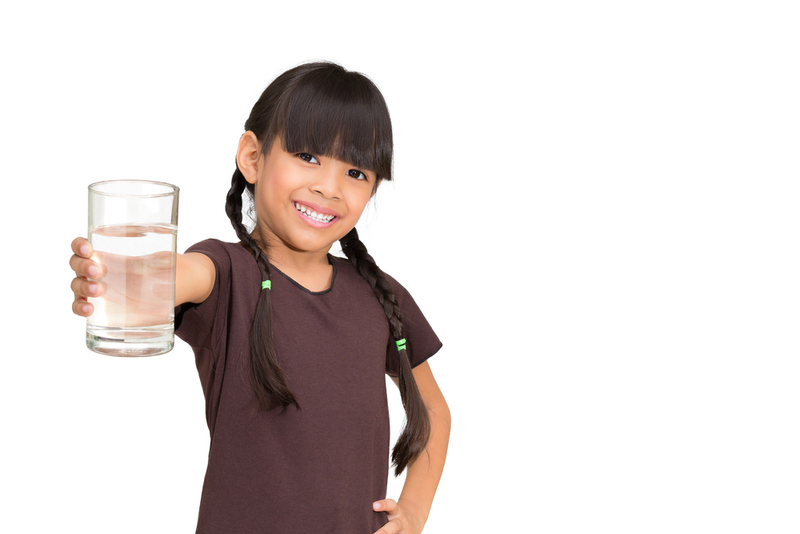 'Safe' standards for contaminants in tap water were never calculated for children, women, etc. & should NOT be relied on. I appreciate what the First Lady is doing, but hard to see her speaking out when her husband (as with previous administrations) is in the pocket of Agribusiness and "Big Corn," those close relatives of "Big Soda," who have spent years getting people around the world hooked on the worst imaginable foods and beverages, and aren't likely to stop as long as they are making mega-profits. Food and capitalism are not compatible. If Mrs. Obama were to suggest tap water, corporations would lose money and it would be "bad for the economy". It reminds me of the stunt that Bill Clinton's Alliance for a Healthier Generation did with the American Heart Association (and, more importantly, with the American Beverage Association). They re-wrote the rules for beverages in schools which paved the way for Gatorade, Vitamin Water and similar "better for you" crap. Let's get realistic and talk about the elephant in the room. Disease is profitable, health is not. Capitalism is like a shark that has to keep moving to survive. Without growth and "jobs", you won't hear our First Lady talking about drinking fountains anytime soon. Water & food both—we must get big ag & food corps. out of politics. I'm waiting for the Dems to step up. We need a Food Party, or at least a Food Block Vote Party. I nominate Michael Pollan as the founder or party chief. It's clear that anything other than an explicit stand for public health will get co-opted by industry lobbyists.